The Master of Arts in Dance with a major in Studio and Related Studies offers an opportunity for significant investigation into one or more of the diverse areas within the field of dance. Studio-related specializations that extend beyond the traditional studio practices of performance and choreography are embraced as the dance profession is defined in a broad sense. With an expectation of technical proficiency in dance, academic studies and movement-centered practices may be fluidly explored, while simultaneously integrating foundational skills in performance, choreography, and their tangents. This degree is ideal for the pre-professional or returning professional with a clear vision of how they hope to contribute to the field of dance upon graduation. Guided by a clear personal vision, candidates propose a custom-designed program of study that centers on one or more dance-related areas of concentration. The program is designed to support self-driven inquiry into personal interests and offer flexibility in curricular content. Students are required to investigate possibilities for elective courses that relate to their area(s) of interest, deepen their understanding of dance studio studies, and engage in significant investigation and process-based research. The broad range of faculty research and creative activities at Florida State University School of Dance, partnered with the state-of-the-art facilities and the Maggie Allesee National Center for Choreography offer extensive resources for creating individualized programs of study. Prospective students are encouraged to visit the School of Dance and College of Fine Arts web sites to become familiar with faculty expertise and mentoring possibilities. The focus of the major may include, but is not limited to: dance administration, community engagement, dance science, dance production design, and dance technology. 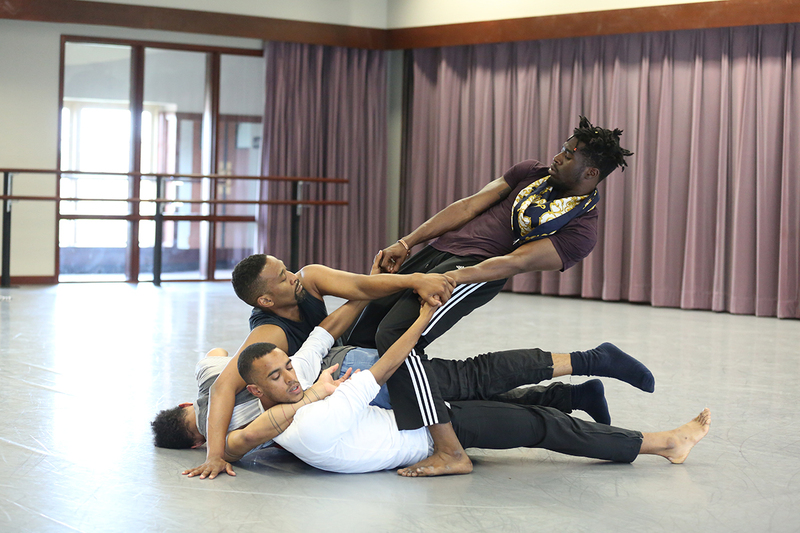 Students in this program interact on an everyday basis with graduate students in the Master of Fine Arts and Master of Arts in Dance (American Dance Studies) programs. Additionally, all graduate students benefit from a body of talented undergraduate dancers in the BFA and General Studies programs.The MA in Dance (Studio and Related Studies) program culminates in a capstone experience designed by the student in consultation with an advising professor. Candidates must complete thirty-six (36) semester hours of graduate level course requirements. At least twenty-one (21) of these credits must be fulfilled by the required courses listed in Curriculum Requirements. The remaining fifteen (15) semester hours may be fulfilled by elective courses in one or more studio related courses listed below. Elective courses must be approved by the student’s advisor. Course names, numbers, and requirements are subject to change. Semester hours for each course are shown in parentheses. DAN 5158 (3) – Theory of Dance Performance & Directing. Specialized Studies in Arts in Community Practice (12) – A cross disciplinary specialized studies curriculum. Graduate coursework available in 3 areas of Social Work, Dance, and Art Education/Art Therapy. The candidate must develop an appropriate capstone experience that substantially synthesizes his/her unique curricular experience. The capstone project must meet the approval of the graduate advisor and the graduate faculty mentoring the candidate’s individual program. Capstone credits may range from 2 to 4 semester hours. Normative time for completion of the degree is four semesters. Graduate Assistantships are available to qualified students and often combines teaching and research or a combination of different work responsibilities. When applying, it is important to include as much information as possible about special abilities, interests, and experience. Teaching Assistantships: To be eligible for an assistantship in technique (ballet or contemporary dance), the student must first successfully complete the apprenticeship program (see below). Research Assistantships: These involve work in specialized areas such as costumes, publicity, production, etc. Applicants must demonstrate ability in their chosen area. Apprenticeship Program: Candidates for apprenticeships must have achieved the most advanced level in the technique they wish to teach. Their work at this level will be assessed for at least one semester. During the same term, the candidate will observe a minimum of ten nonmajor technique classes and will teach three nonmajor classes, which faculty members will observe and assess. After successfully completing this apprenticeship, the student is eligible for consideration as a teaching assistant. Candidates designated as returning professionals by the graduate faculty are exempt from the apprenticeship requirement. How to Apply for Aid: Download, complete and return the Graduate Apprenticeship Assistantship Application.